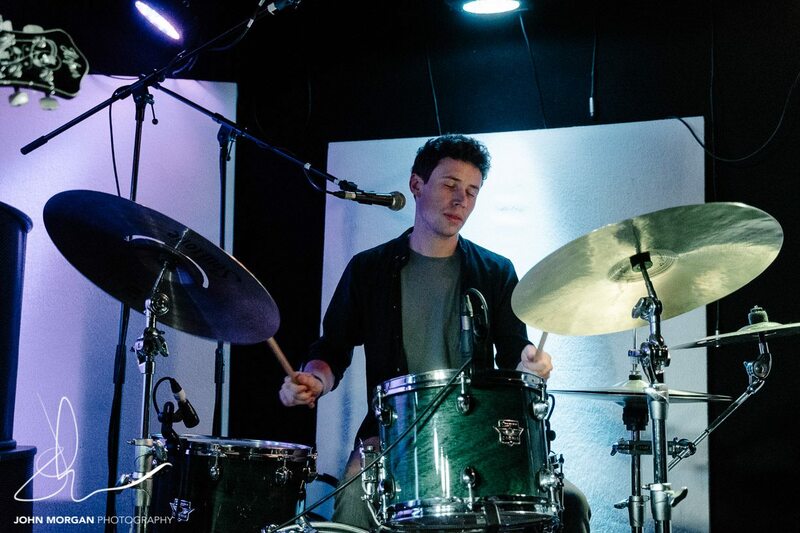 Harry Harding is a drummer and multi-instrumentalist based in the south west of England. Harry specialises in drum kit and percussion but is also a producer, teacher, singer and songwriter for many projects including his own. His contribution to the music scene in the Southwest has built him a reputation as one of the most in demand drummers in the area. Harry started drumming at the age of 7 and quickly fell in love with the art. Being a music lover from a very early age Harry’s thirst for musical knowledge became his focal point, going on to study Music Practice at College and onto University in Cornwall, where he flourished. Throughout his studies he became involved in musical groups both on and off the curriculum, exploring different genres and finding his feet in a variety of ensemble environments. This quickly became a full time job and he soon became known for his ability to fit into any genre and play appropriately for the song, as well as helping with the production and song writing roles. Turning his hand to jazz, pop, folk, country, blues, reggae, funk, soul, and onto the less travelled path of electronic music, Harry’s insatiable desire to learn about all aspects of music both rhythmic and melodic makes him a prime candidate for many solo artists who need an outside influence for their music.